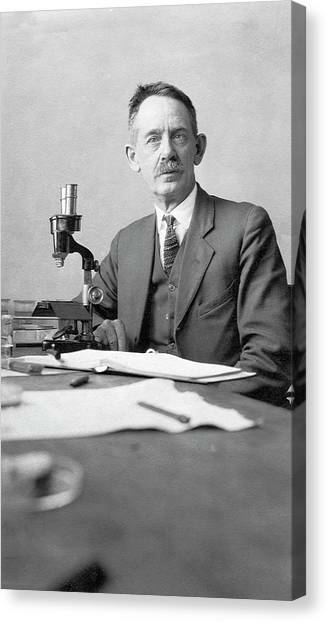 Herbert Jennings is a photograph by American Philosophical Society which was uploaded on July 24th, 2016. 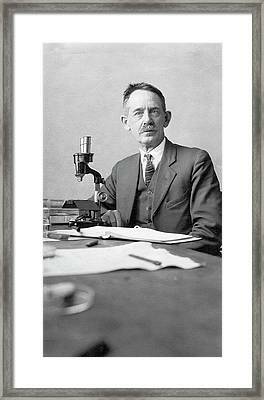 Herbert Jennings (1868-1947), US geneticist, with a microscope. 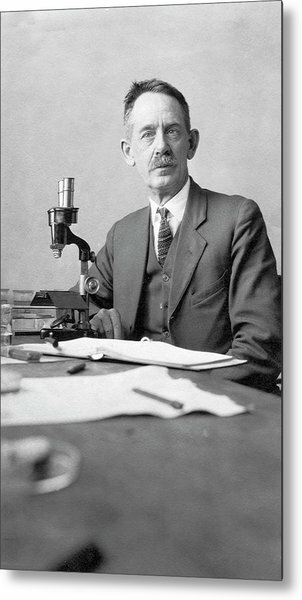 Jennings was Professor of Zoology and Director of the Zoological Laboratory at Johns Hopkins University from 1910 to 1938. 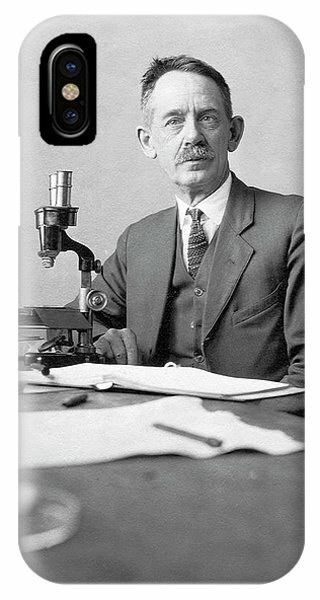 Through the study of the Paramecium protozoan, he studied the mathematics of genetics. Between 1912 and 1917 he published formulae that described the results of successive cycles of breeding. 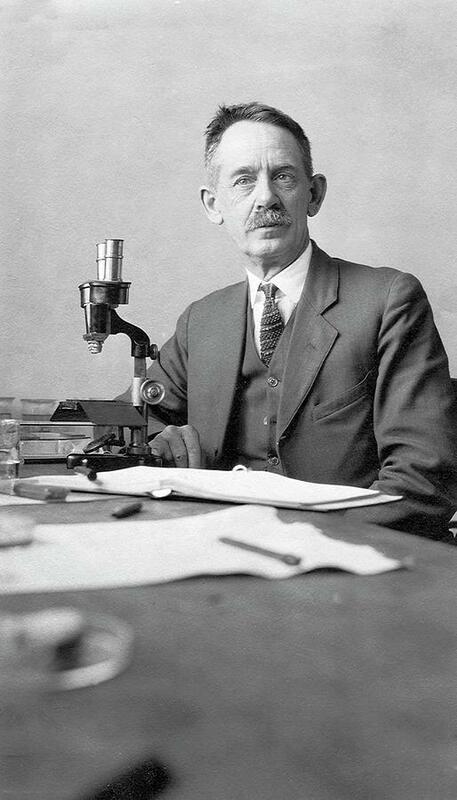 His work was summarised in 'Genetics of the Protozoa' (1929). 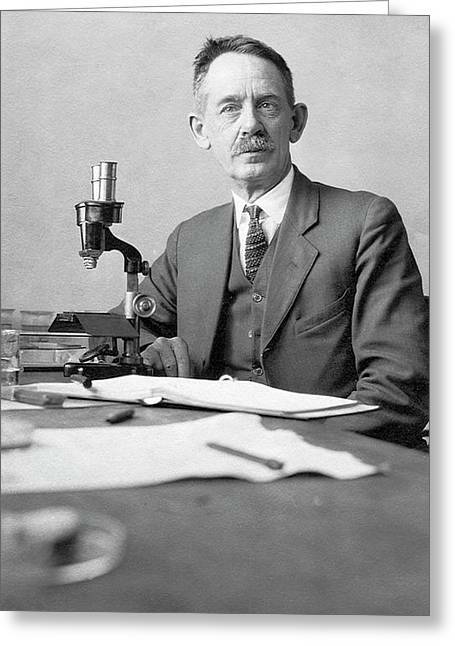 He wrote on the subject of eugenics, including 'The Biological Basis of Human Nature' (1930). Photographed at the Woods Hole laboratory, Massachusetts, USA. 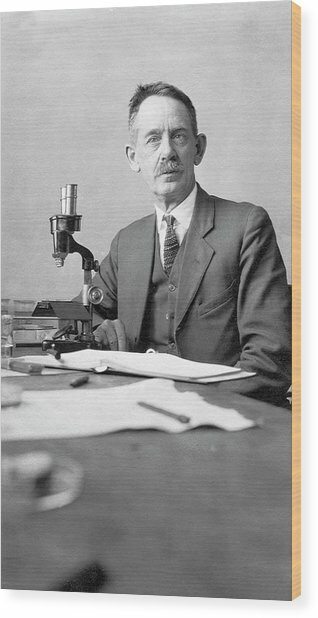 There are no comments for Herbert Jennings. Click here to post the first comment.